(Macao, Dec. 06, 2017) – Sands Resorts Macao and Sands® Macao have launched delicious and warming winter menus at eight superb Chinese restaurants across The Venetian Macao, The Parisian Macao, Sands Cotai Central and Sands Macao from Dec. 4, 2017, until Feb. 11, 2018. Chosen not only for their delicious taste, all the ingredients and foods used are renowned for their warming and nourishing properties. In the hands of Sands Resorts Macao’s and Sands Macao’s talented chefs they have been transformed into not only the finest Chinese cuisine, but also dishes which bring health, heat and vitality in the cooler winter weather. Elegant Golden Court restaurant is now offering a variety of healthy winter warmers. Chef Lee Chiu Fat has used the freshest ingredients to develop an extensive menu imbued with wonderful warming properties to keep the winter chills away as the cooler weather approaches. Golden Court is also offering a wide range of delicious herbal soups, including double-boiled fish maw and pork soup with apple, candied dates, dried tangerine peel and Chinese herbs (can relieve cough and asthma conditions) MOP 988*, and double-boiled snake-fish and American ginseng soup with Chinese herbs and red dates (improves blood circulation and protects the liver) MOP 428*. All herbal soups must be ordered at least six hours in advance. The elegantly decorated restaurant offers exquisite southern Chinese cuisine. The Winter Warmer Menus feature some of the finest soups, seafood, meat and vegetable dishes. Table availability is limited. Call +853 8118 9930 now to make a reservation. Spacious and authentic, North restaurant specialises in northern Chinese and Sichuan cuisine. The Winter Warmer menus features a variety of delicious and nutritious dishes. Come and enjoy a fabulous meal with friends and family. Reservations can be made by calling +853 8118 9980. 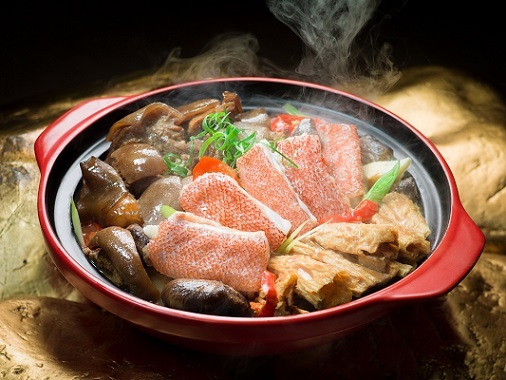 Offering modern yet traditional Chinese cuisine, Lotus Palace is featuring classic hot pot warmers this winter, full of nutrient-rich goodness. Don’t miss out on this exceptional menu! Reservations can be made by calling +853 8113 8920. Rice Empire celebrates this winter by serving with difference kinds of winter broth: Chinese herbal fish bone broth, ginseng, red dates chicken broth; tradition Sichuan spicy broth. Reservations can be made by calling + 853 8113 8930. A fast and convenient stir-fry restaurant in the Cantonese and Hong Kong tradition, Southern Kitchen is offering some deliciously different and authentic winter treats. Reservations can be made by calling +853 8113 7960. Serving classic dim sum dishes alongside other Chinese staples including seafood, stir-fries, noodle soup and more, Yum Cha has a delicious selection of healthful warmers this winter. 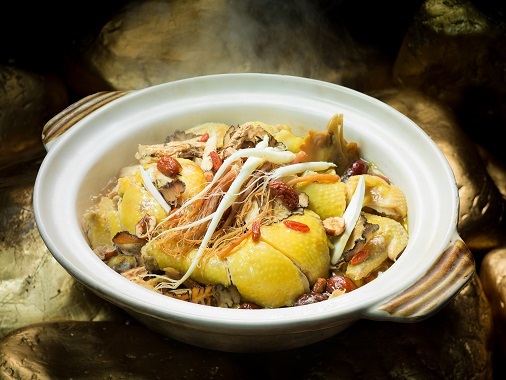 Photo caption: Sands Resorts Macao and Sands Macao Chinese restaurants have launched a delicious range of healthful winter warmers. Make your booking now to enjoy this seasonal treat! For more information, please visit https://www.sandsmacao.com/dining/dining-promotions.html.